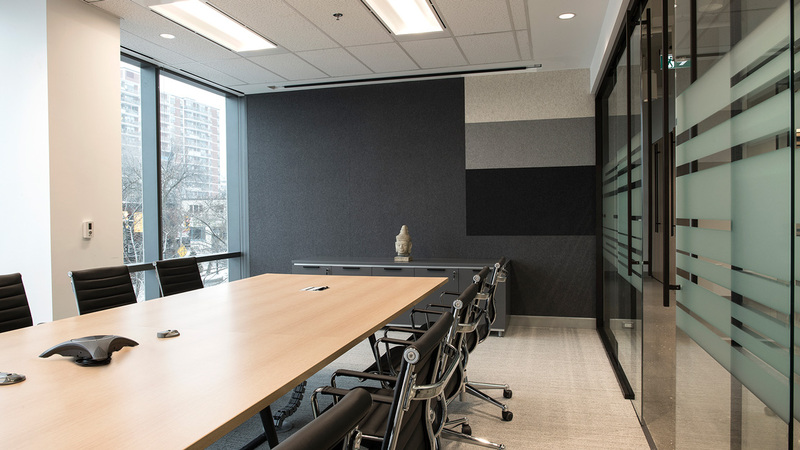 This Mississauga-based company provides products and consulting services to finance, technology and energy institutions. 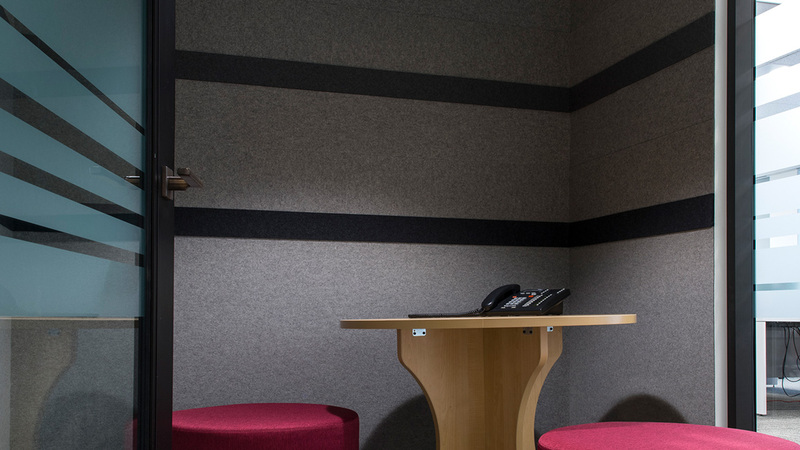 Their contemporary office space was transformed with Perkins + Will design and felt wall treatments. 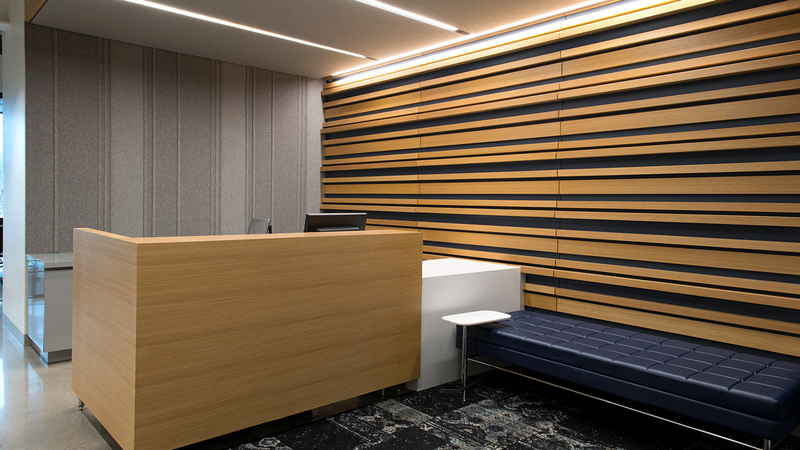 In their hip Mississauga office, Designer Felt was installed as an acoustic wall finish. 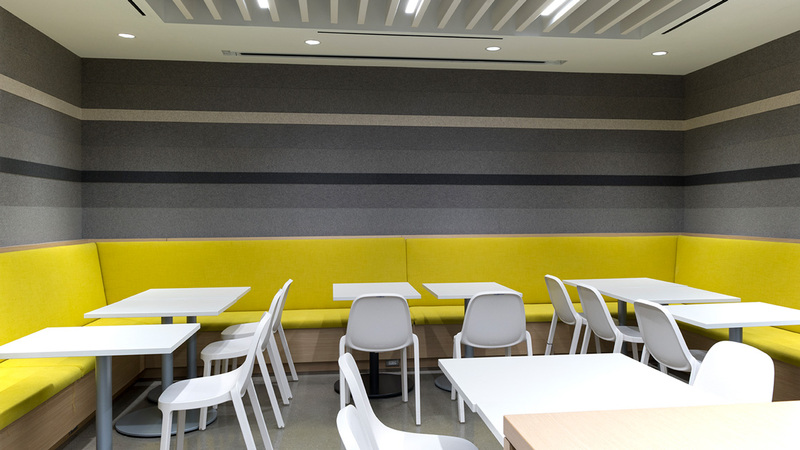 Textural interest was enhanced with thick laminated felt stripping, giving each space a unique depth and welcoming atmosphere.